Old Path: ..and a sheath to go with it. 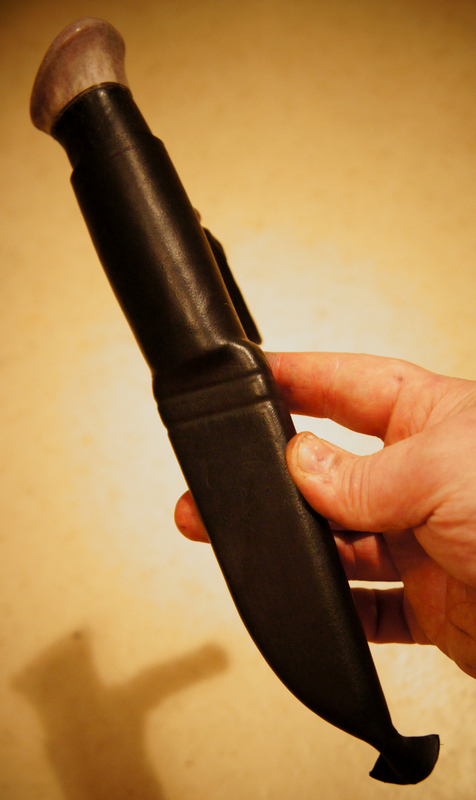 ..and a sheath to go with it. Here you go, a few pics of the sheath that i made for the knife that i wrote about last time. 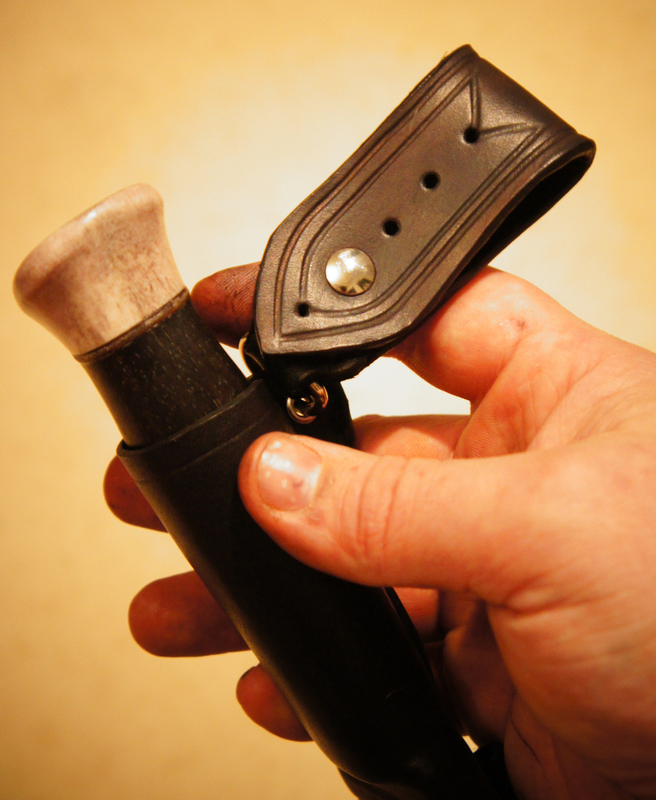 Theres a compact, as low as i could do, firesteel loop behind the sheath. Its next to the liner part of sheath to keep the sheath riding close to my leg, unlike if it would be in the handle part of the sheath. Simple, plain black. 2mm veggie tanned leather. 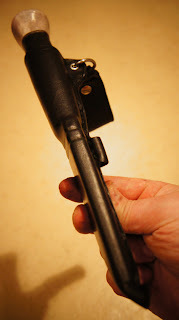 Belt loop is made of 3.5mm veggie tanned leather, and it has a screw-open stud so i can remove the belt loop if i want to hang the knife to rucksack / backpack, or to saame belt etc. Komeen puukon ja tupen olet tehny. I was born at mid seventies, i had luck to grow in the woods and learn the stuff from my grandfathers. I owe my interest to old ways of life, to them, as well as my interest to do handcrafts. I went to scouts for a while, quit, then continued hiking and genral outdoors life on my own and with my buddies. Went to wilderness guide school, got more an more excited about survival and bushcraft, but more than that, i have grown to love traditional wilderness skills and life in the bush. I like to review all kinds of outdoor gear, from packs and cookers, to axes and knives. I do leathercraft and some blacksmithing, make occasionally knives, as well as woodwork. I Love to study scandinavian wilderness skills, especially lapland culture as well as early 1900´s Finnish outdoors life, to some late 1960´s. I am some sort guy, who feels that he lives a bit in wrong time and place, i love to escape to past, with books. Yet i realise that i live in a modern world and i can admit that i like to see some modern time outdooring and gear as well, although some of my buddies, say that i have ruined my brain with those old romantices wilderness & outdoor books. What do they know, man !